A picture taken or copied by Tom Kent, date estimated, showing when the big tree was both big and part of a walled garden. 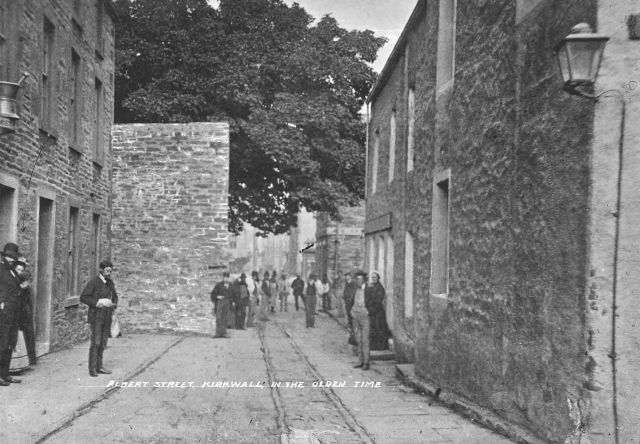 The picture is taken from the Broad Street end of Albert Street, looking north east, i.e. back towards Bridge Street.